Collaborative note-taking guide in Dialect Labs' observation room. A quick and easy way to brief people attending usability testing sessions about how and what to observe/note. Posted here after a request for material on the UXPA (UK) Members Slack. I print a complete copy of the slide deck for the member of my team leading as Observation Room Facilitator. I then print the first slide (only) for each of the stakeholders who are observing the sessions. I occasionally refer the team back to the guide, as needed, between sessions. I also print and use David Travis’s Red Route Usability Prioritisation Flowchart to help stakeholders think about the likely severity of any issues encountered during the study. How does this compare to your note-taking guide/process? 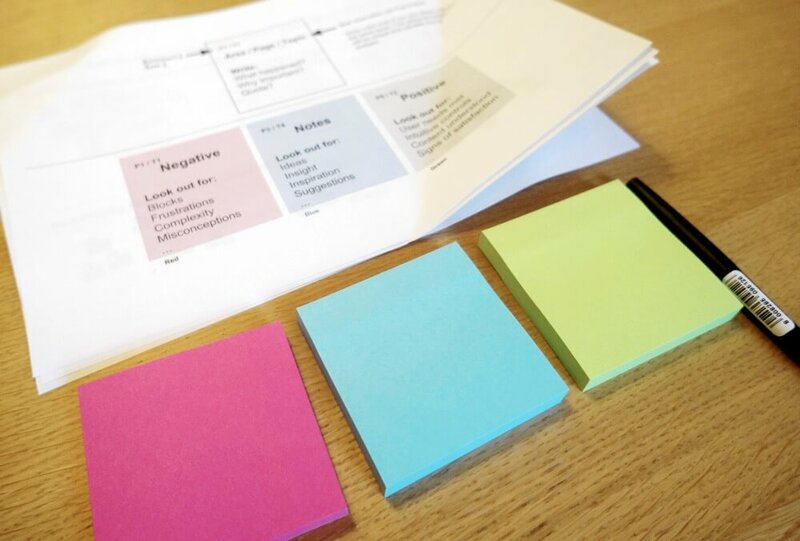 Have you used this guide in your user research, or do you have suggestions to make it better? Let me know in the comments.